Inspired by modern architecture, Perspective captures the urban intensity found in skyscrapers which defy the sky: daring structures of steel and glass. 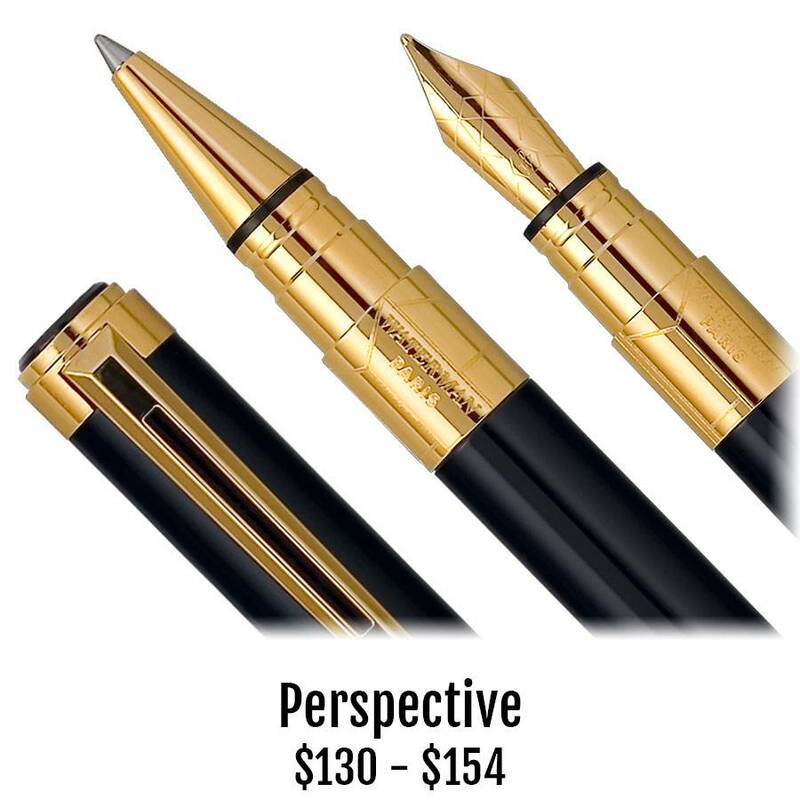 This visual perfectly illustrates the inspiration behind Perspective.The fountain pen sports a fine or medium point stainless steel nib. Purchase a converter for your bottled ink or plenty of ink cartridges in assorted colors. Rollerballs and ballpoints use genuine Waterman refills.